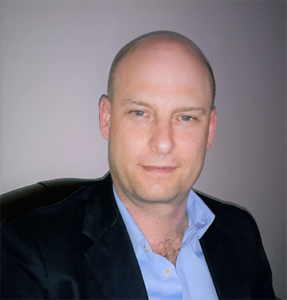 Kevin Day is the founder and Director of DigiRisk (Pty) Ltd. Kevin has over 22 years experience working for large organisations in various roles covering IT audit, IT governance, IT risk and Information Security. Before founding DigiRisk, Kevin held an executive role as the Chief Information Security Officer at The Foschini Group (TFG) where he was responsible for the organisation’s Information Security, IT Governance and IT Risk functions. Kevin is a B.Com Certified Internal Auditor (CIA), Certified Information Systems Auditor (CISA), Certified in Risk and Information Systems Control (CRISC) and Certified in the Governance of Enterprise IT (CGEIT). He has extensive experience and skills in Enterprise Risk Management, IT Risk Management, Information Security, IT and Data Governance, Data Privacy, PCI Compliance, Identity and Access Governance, IT Audit & Assurance, Third Party Governance and Risk Management and Business Continuity Management. With his years of experience gained in various information risk and governance roles for large corporates, Kevin has the knowledge and skills to assist his clients with cost effective, pragmatic solutions that will add value to their organisations. Jody Palvie has over 18 years experience in the IT industry starting in network administration and then moving into IT service management and IT operations. For the last 7 years Jody has been an information security professional and fulfilled the role of Information Security Analyst at TFG for 5 years and thereafter has spent the last 2 years as an information security consultant. Jody is a Certified Information Security Systems Professional (CISSP), ITIL Foundation and ITIL Problem Management Practitioner. He has extensive knowledge and skills in IT Service Management, IT Operations Management, Project Management, Network Security, Identity and Access Governance, PCI Compliance and IT Solutions Architecture. With his combination of IT process management skills and IT technical skills, Jody is well equipped to assist clients in determining and implementing the best technical solutions that support their business and process requirements.